The bathroom of your dreams is within reach – even in older houses! JR Carpentry & Tile was recently called to a home in the Mt. Airy neighborhood of Philadelphia. Known for its beautiful and unique architecture, each home has its own story to tell. Picturesque Victorian houses – and even stunning stone duplexes – draw the attention of buyers looking to escape the hustle and bustle of Center City. With such unique architecture come a whole slew of challenges to those looking to do a bit of remodeling. 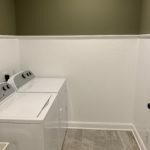 One homeowner was hoping to revamp their bathroom, but couldn’t quite achieve the look they wanted in such a small space. 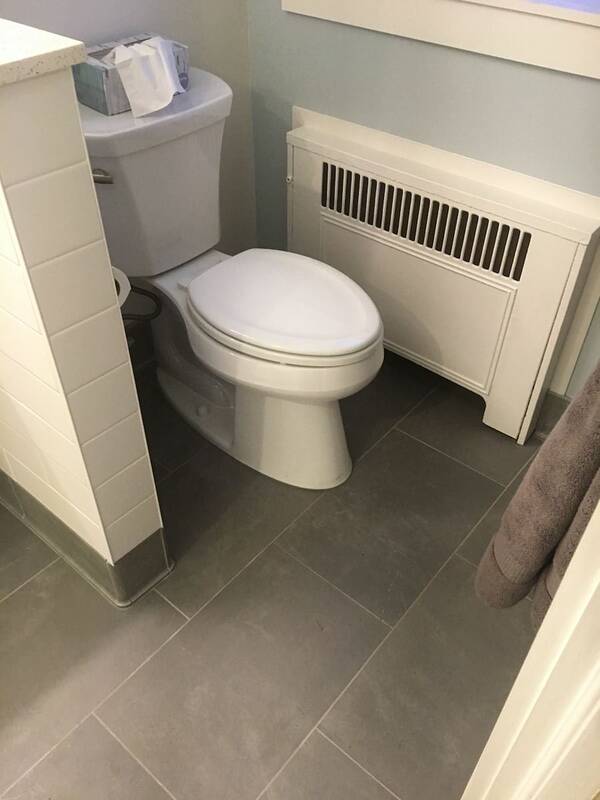 The homeowner knew that he couldn’t tackle this job alone, so he contacted JR Carpentry & Tile for help. While the project would require a bit of demolition, we were more than happy to take on the task! The bathroom wall was moved about two feet back, expanding into the middle bedroom and its closet. 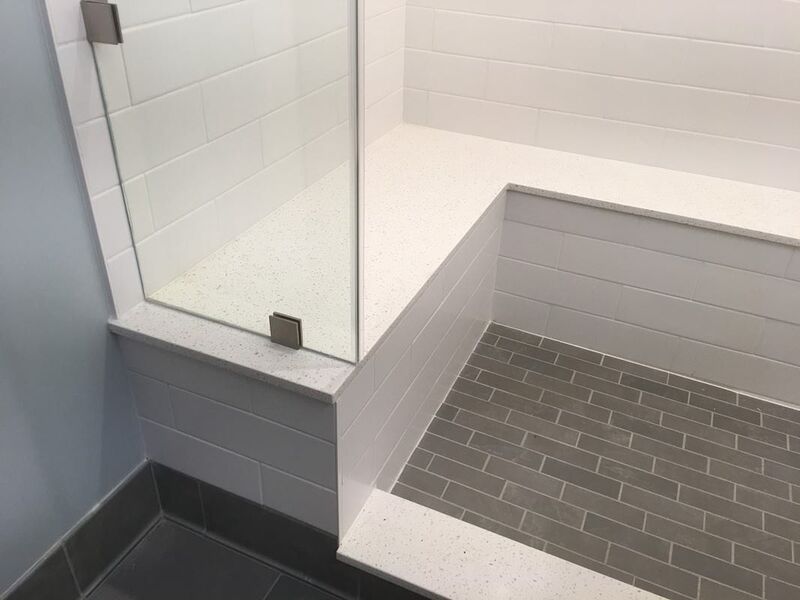 While we kept the toilet in place to save on plumbing costs, the shower was expanded with custom bench and ledges. 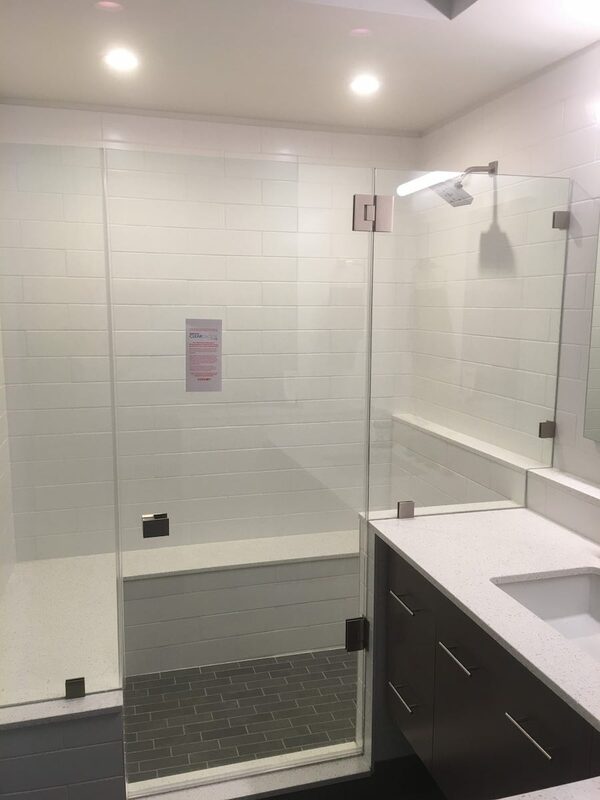 In addition to the beautiful new bench and ledges, we put in a custom shower door and a new style of trough drain. 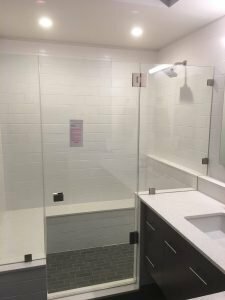 They create key focal points in the new shower stall, and make the space feel large and very unique. We installed a half wall to give definition to the room and separate the toilet from the rest of the bathroom. 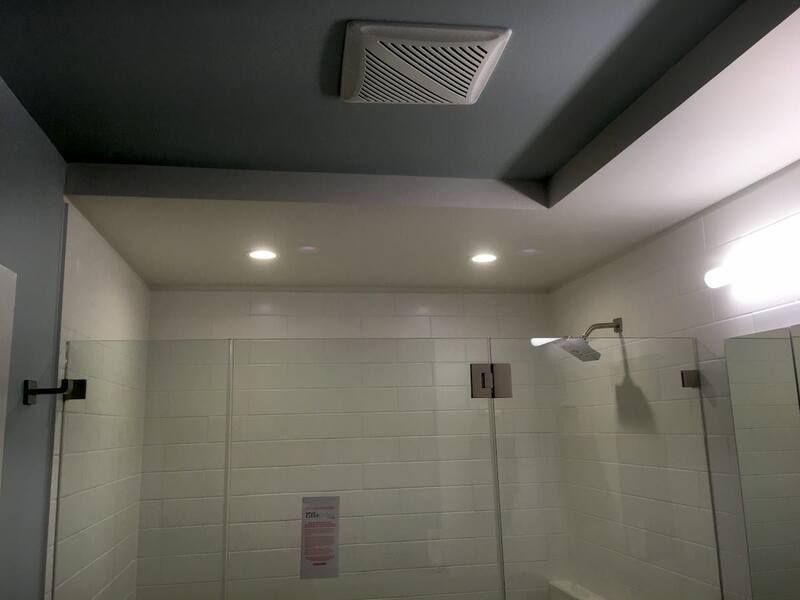 The half wall also contains a very unique fixture: a shower cable was installed so that the homeowner can control the water in the shower without needing to enter it to turn it on. No more dodging streams of cold water or risking damp feet while waiting for water to heat up to the perfect temperature! Josh’s workmanship is second to none! 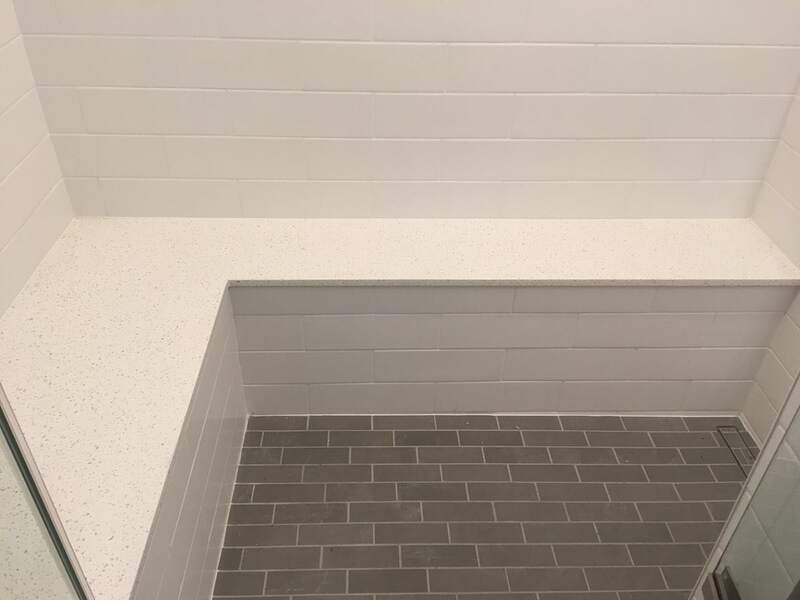 He took on a master bathroom renovation for us, and the results were better than expected. 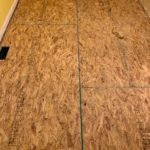 Our house is old and presented some odd challenges, but Josh worked carefully around these issues to maintain the structural integrity of the house while ensuring the utmost quality. Excellent work, Josh! 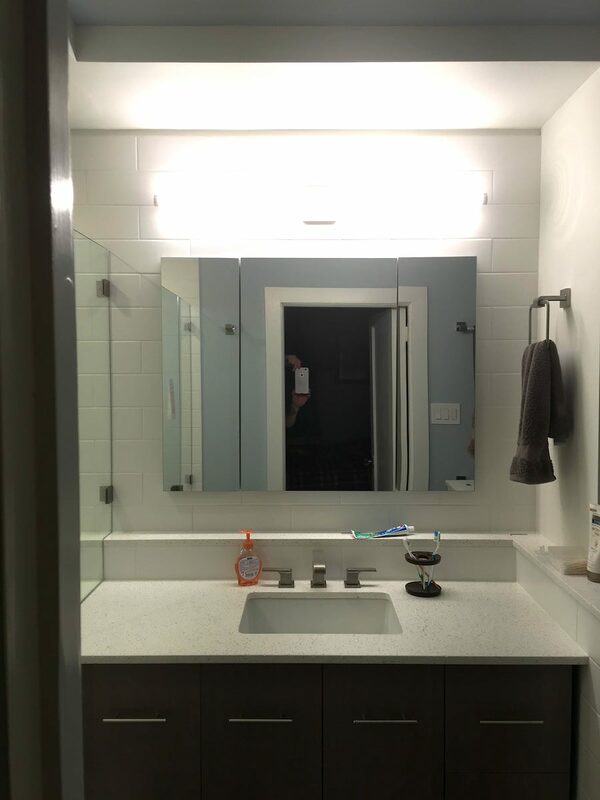 We were pleased to help our client have the master bathroom they’ve always wanted, regardless of the amount of work it took! If you have an idea for a remodeling job in your home that seems too tough to undertake, give us a call. Our team of experts has the tools and know-how required to get it done for you! 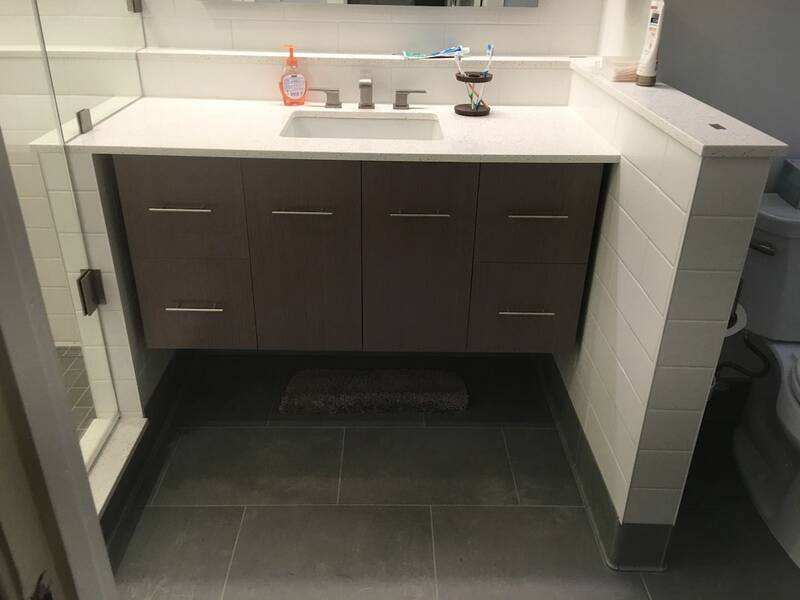 Click here for your free quote on bathroom remodeling by JR Carpentry & Tile. They did an amazing job! I will definitely recommend. Thank you! We are very happy.